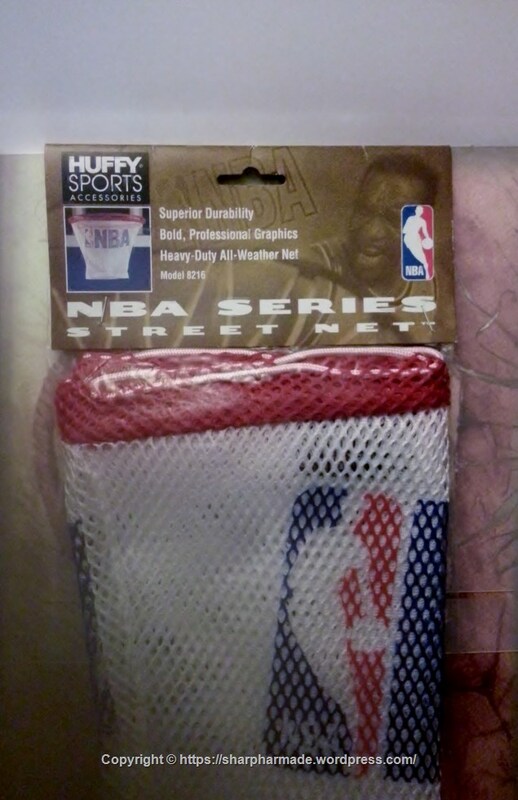 Huffy Sports Basketball Superior Durability Heavy Duty NBA Series Street Net. An All-Weather Rim Hoop Backboard NBA Series Street Net. Red, white, and blue; and NBA logo, on the net. An awesome rare find for any NBA Memorabilia Collector; or just to be used. OOP, due to merge of Huffy Sports and Spaulding! Huffy Sports Basketball All-Weather Rim Hoop Backboard NBA Series Street Net. Red, white, and blue; and NBA logo, on the net. Material looks to be a quality nylon, or polyester. New, never used; still in original 'unopened' package; so unable to see if material information inside. An as is sale. Please, see photos, BEFORE purchasing. Photos are of the actual item, being sold. Model 8216. Part #202383. Superior durability, bold professional graphics, and is a heavy-duty all-weather net. Original Sale Price was $7.95. Huffy Sports Copyright (exact year unknown); and was made BEFORE Huffy Sports became part of Spaulding, merge/takeover which was finalized about 2004. Made in Taiwan. Bought for my daughter, when she was a child (she was an avid basketball player, been playing since she was 4 years old); and just never replaced the hoop net on her outside basketball rim. Never got around to it. She is more than grown, now (lol); and living on her own. Please, see the photo's, where you can see, in advance, the net's condition; and photo's of the net.